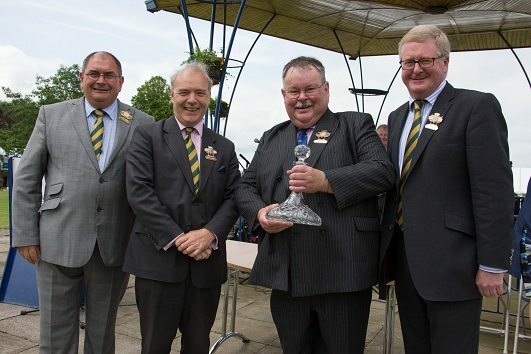 Farm and rural workers with 251 years’ experience between them were recognised at the Royal Bath & West Show in the annual Long Service Awards. Sharing the longest service of 57 years apiece were Michael Taviner from West Harptree, Bristol, and Christopher Reeves from Kilmington, Wiltshire. Mr Taviner spent 33 years working with the Lyons family and another 17 years with the Gibbons family milking cows, ploughing, combining and hedge laying. He still enjoys winning ploughing matches with his 1959 Massey Ferguson tractor. Mr Reeves is the fourth generation to farm at Cote Farm, gaining tractor driving experience from the age of five. He milked cows from the age of 14 and now farms store cattle and cereals as well as being a school governor, church warden and parish councillor. Taking loyalty to a truly commendable level is Malcolm Hallet, who with 45 years’ experience has worked for the same family since 1977, at Messrs Elworthy’s Manor Farm in Dorset. The Royal Bath & West Society also recognised two of the hard-working show organisers without whom the event would not run so smoothly. Pete Richards has spent the past 50 years arranging and collecting ponies for the shoeing section, as well as providing sheep for shearing and demonstrations and transporting show jumps for BSJA competitions. His colleague Diz Errington spent 42 years running and organising the show jumping, which despite her recent retirement is still going from strength to strength.